Postcard US-3142509 to the Netherlands took 50 days to reach its destination. 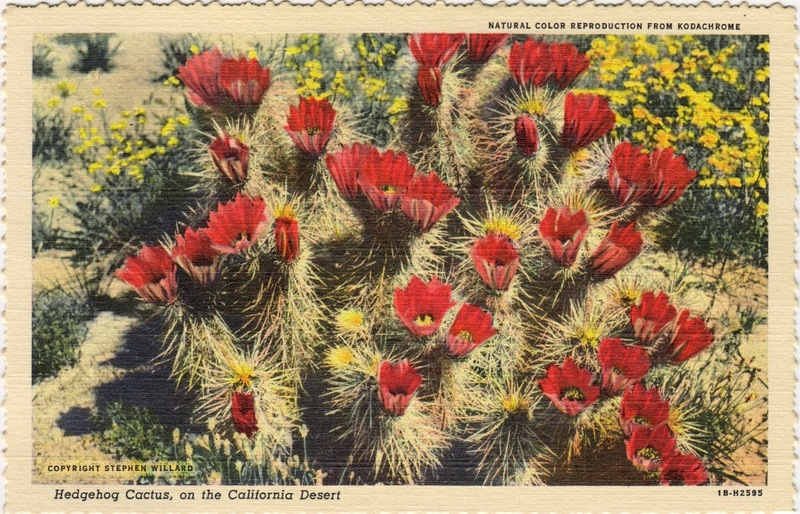 It was a vintage card showing the Hedgehog Cactus (Cereus Engelmannii), one of the most showy of all the cactus blossom with red and purple flowers. The species can be found in Baja California and Sonora, Mexico; and in Arizona, California and Nevada, USA at elevations ranging from near sea level to 2,400 meters or 7,874 feet. April is the usual time for it to blossom.